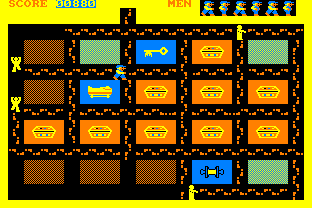 What were the games bundled with the CPC464?? Britain. 1984. Christmas approaching. I didn’t want a Sinclair Spectrum or a Commodore 64. I wanted the Amstrad cpc464, with its choice of a monochrome green or colour monitor (£199 or £299 respectively in 1985), and it had a tape deck (the vital media device of the day) integrated with the keyboard. It also had a few games (including the dreaded ‘educational’ type) and ‘apps’ thrown in. the big question has to be ‘but what were the games and apps thrown in free with the Computer?’. Well, wait no more! Here they are in no particular order. 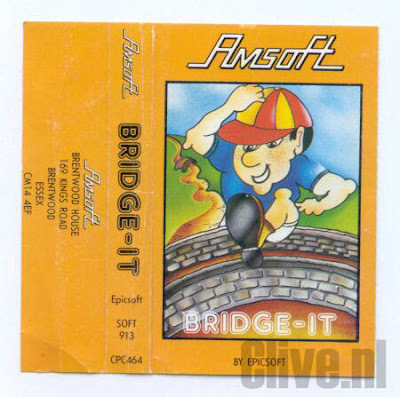 All were produced under the ‘Amsoft’ banner, but were mostly produced by other developers. 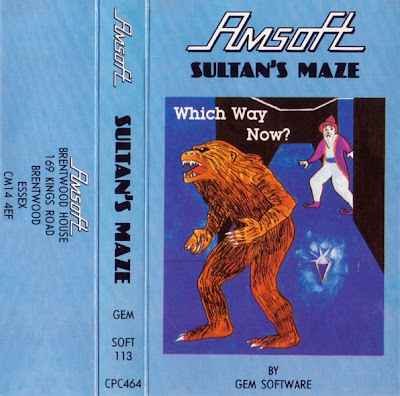 One of the best of this freebie bunch, and the first game I saw demoing on an Amstrad. 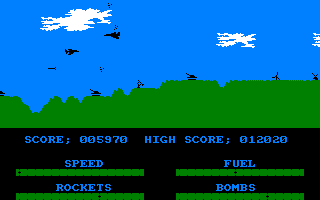 You are the pilot of a Harrier Jumpjet as it goes across a bleak (for bleak, read ‘Falkland Islands’) landscape. Yes, it is meant to evoke the spirit of the war against the Argentines. This game was developed soon after that war had ended. It is a bit like Scramble, but it is no great shakes today. This game does stand up better than any of the other games in this list though. ‘Roland’ is an anagram of ‘Arnold’, and ‘Arnold’ was the name of the first CPC prototype. 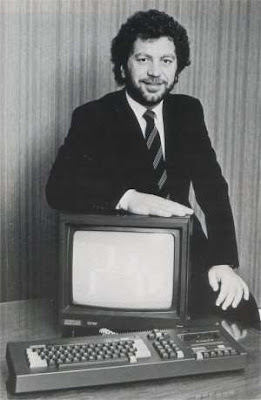 Anyway, like Sonic was to Sega, so Roland was to Amstrad. With his ‘…on the ropes’ adventure, he was an Indiana Jones-type. Climbing ropes, shooting ghosts, in a pyramid. 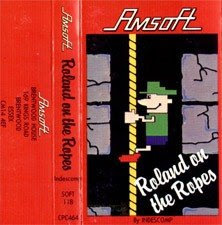 It was originally called ‘Fred‘ and was released on both the ZX Spectrum and Commodore 64, but then got re badged under the ‘Roland’ banner when it went onto the CPC464. 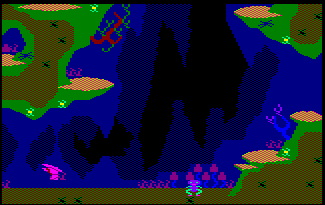 That would explain why ‘Roland’ is both an intrepid explorer and an intrepid bug (see ‘Roland in the Caves’). The game, if you are interested, has been emulated here and is free to download. 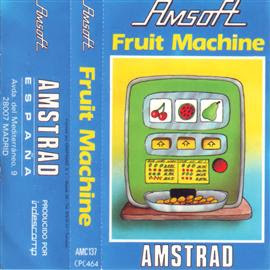 I have played the game on the Amstrad emu WinApe, but it plays terribly. I used to love it when it came with the free bundle, but time has not been kind to it. 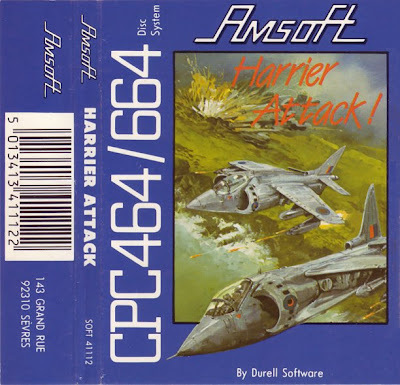 This was the one that really sold the CPC464 to me. I saw it in Radio Rentals in Tamworth Town Centre, on the Amstrad colour monitor, and looked fantastic. 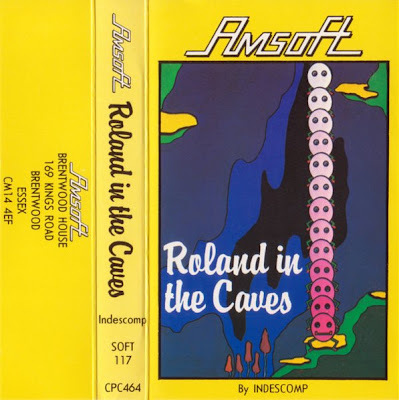 Trust me – I had an Atari 2600 and had mates who had C64s and Spectrums, but ‘Roland in the caves’ looked so full of colour and detail. Pity they forgot to include any game play with the thing. It was very boring. You play a flea, stuck in a cave on another planet. The objective is to get out of the cave before a pterodactyl gets you. Then do the same again in another cavzzzzzzzzzzzzzzzzzzzzzzz. No. Just. No. Basic stuff. A bit of dig-dug and pac-man thrown together into an unspectacular game. You are an archaeologist digging around some tombs. 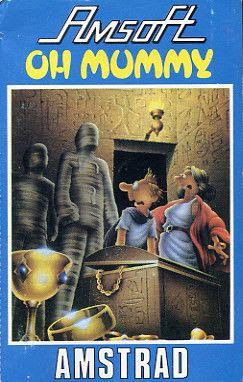 You have to pick up some artefacts and avoid mummies. There was one very good reason this was bundled in amongst several others – it was cack. Guide men across bridges from one house to another. That’s it. 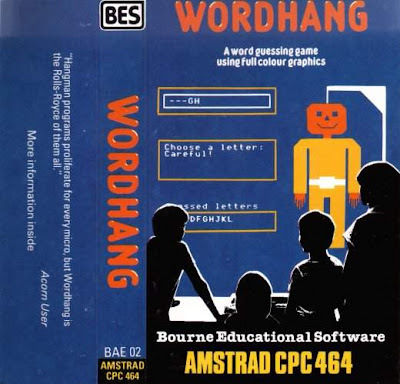 Bourne Educational Software. They produced software versions of games you could play with pen and paper. There was no need for them to exist as software. Let us move on. Didn’t even get it out of its case. 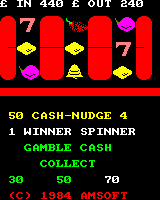 Played with this a fair bit – get the vicarious thrills of Fruit Machines without the cash haemorrage! Probably not as good as the Palitoy Pocketeer version. 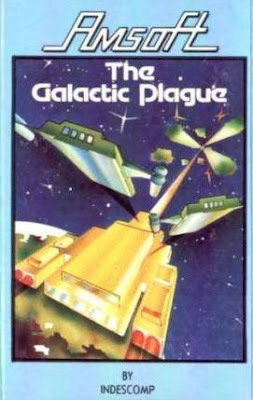 Up there with the worlds worst cover art. Heavy on the felt tip pens by the looks of it. The game was slow and a throwback to the early ZX81 maze type games. Forgettable (and the artwork is regrettable). Hangman on a computer. That’s it. 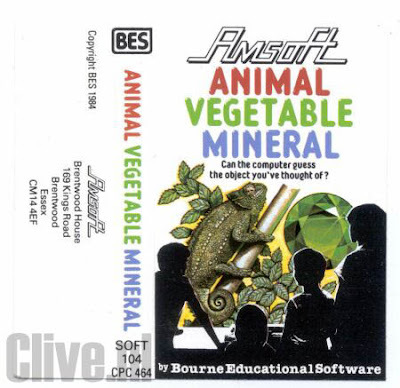 The words ‘Bourne Educational Software’ say it all. Its an educational game. About time – not as in ‘about time they made an educaitonal game’. It is an educational game on the subject of time.